Medial Shredding service is a key component in your office compliance with the latest HIPAA rules and requirements. Most of PHI files are protected by State and Federal Privacy laws and your medical practice must have a plan in place to shred these documents at the end of their shelf life. Medical records, Patients Charts, and X-rays are one of the most sought-after resources for identity thieves. Your medical facility must take great care in how you store and manage your patient files, and they must be thoroughly and destroyed in accordance with the law. When it comes to PHI and medical records shredding service, there are mandatory retention laws for documents that require medical records to be kept for a period of time. HIPAA requires medical records (PHI protected files) to be retained for at least six years from the date of its creation or last date of use. Massachusetts State laws also generally have document retention laws, however when they’re shorter than HIPAA’s, the six year retention period preempts State laws. If State laws require a longer retention period, these supersede HIPAA requirements. Either way, once a medical record’s retention period is up and the document no longer needed, it should then be securely shredded as it does nothing more than increase the likelihood of accidental disclosure or a data breach. 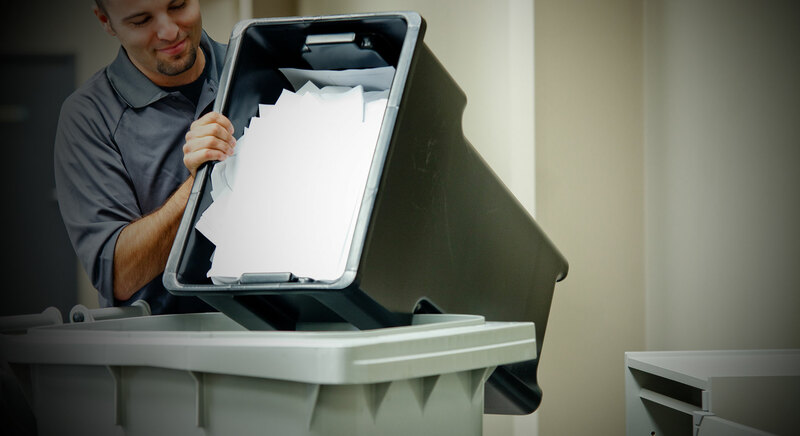 Avoid heavy fines, protect your practice and hire the right shredding service company like Neighborhood Parcel that is trusted for over a decade to handle these sensitive documents.